For the first time ever, fully licensed by both the MLBPA and MLB.com! All major league player ratings plus those of more than 1,000 minor leaguers based on ZiPS, the projection system created by well-known baseball writer and SABR member Dan Szymborski. 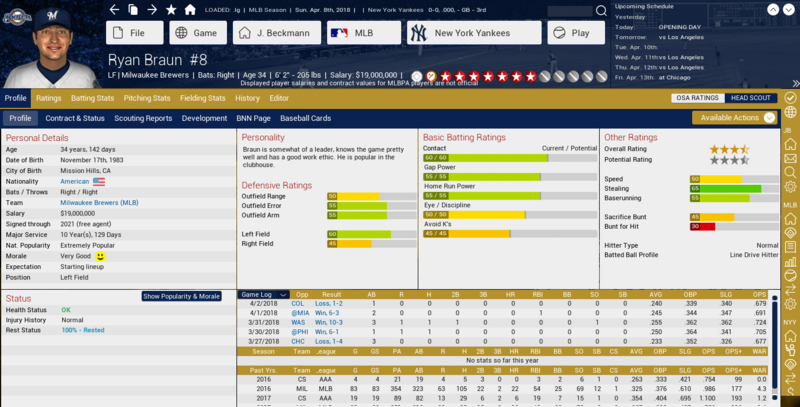 Out of the Park Baseball 17 features FaceGen images for real players! 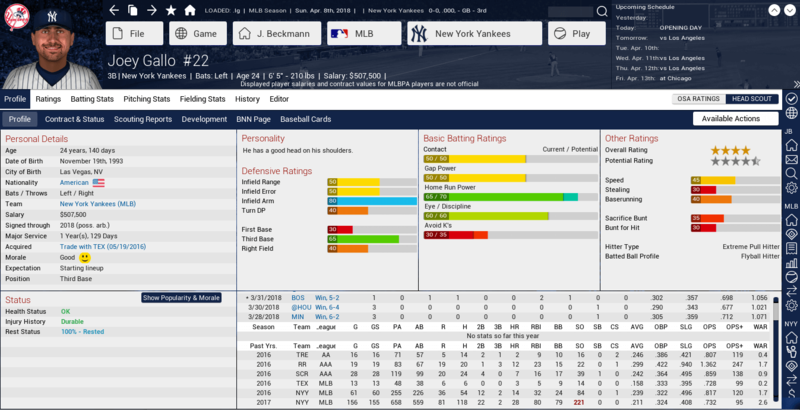 With player aging, real-time emotion, and automatic uniform adjustment based on trades and free agency for most major leaguers, you're more in touch with your club than ever. Our new 3D animation and improved, authentic major league ballparks deliver the most powerful in-game experience yet. 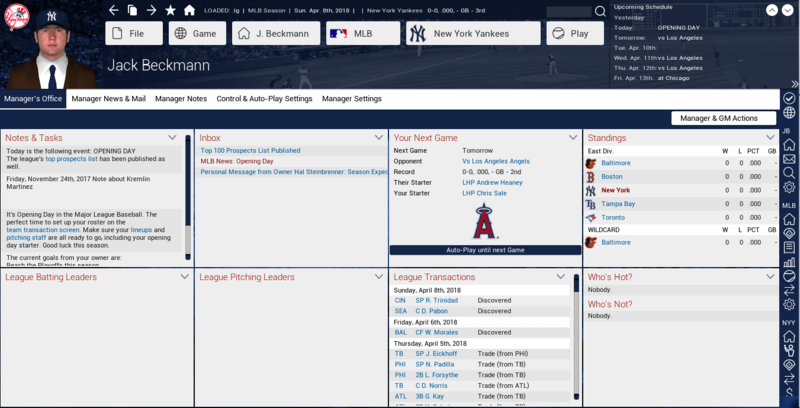 Moving player symbols, better lighting, textures and detail immerse managers in an intense MLB experience. New auto-generated game recaps, capturing the essence of what happened on the field. All-new Historical Exhibition option! Pit any two teams throughout history against each other in a single game or a series, or replay any historic World Series matchup with accurate rosters. Smarter, more cunning AI GMs and managers, with individualized personal approaches to roster-building, scouting, and finances. Authentic minor league systems from 1919 through 2015 with a database of more than 150,000 real players. Multi-core processor support for up to 60% faster simulation speeds.